Aayush Sharma and Warina Hussain’s debut film, Loveratri, will soon have another song added to its album. 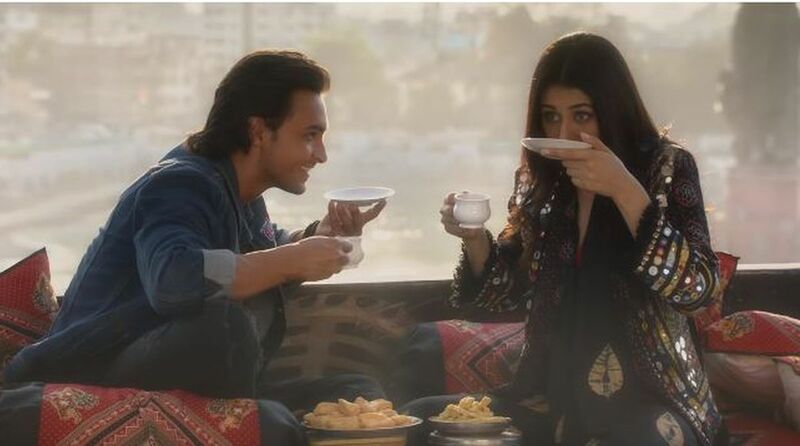 Aayush Sharma and Warina Hussain’s debut film, Loveratri, will soon have another song added to its album. The lead actors are all set to launch the new song in the ‘City of Joy- Kolkata’ on 22 August 2018. The new duo of Bollywood, launched the first song “Chogada” song via Instagram live from Vadodara, after having authentic Gujarati breakfast and interacting with fans. The first song received more than 10 million views and it’s hoped that it will become the anthem this Navratri festival. A few days back, Loveratri’s trailer was launched across 9 cities. Salman Khan, Aayush Sharma, Warina Hussain, Arpita Khan, Abhiraj Minawalla along with the team attended the event. Loveratri is a love story, Aayush plays the role of a sweet Gujarati boy and Warina features as his love interest. The romantic story is set against the backdrop of the Navratri festival and the movie is shot in London and the outskirts of Gujarat. Directed by Abhiraj Minawala, who will also be making his directorial debut, the romantic drama will be the fifth venture of Salman Khan Films. Loveratri is slated to release on 5th October 2018.